How easy it is to sit on the couch and do whatever you like, with your smartphones, by connecting your very favorite home Wi-Fi. But oh, I have to charge my phone or my laptop. It’s frustrating to wait till the charging completes, as it takes quite a long time. Kudos to fast charging technology in numerous phones, but it is useless to wait even for a few hours before you get hands on your device to utilize the quality time. What about pushing the limit wireless charging for smartphones to the wireless power supply for all your devices. It might seem new to you, but the work is going on, and you might get hands on the technology, within the next decade. If the pace of technology is a bit accelerated, you can even get the technology, maybe within the next few years. Difference Between Wireless charging and Wireless Electricity? 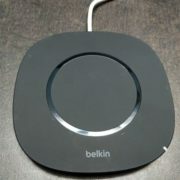 Wireless charging, as all know is, simply putting the mobile phone on a dock, and the charging will start instantly. But, that has its own limitations. It is difficult to use the phones, while on the dock, rather than using it while you are holding it and move it accordingly to different angles. Here in comes the importance of wireless electricity, which is not limited to putting the phone on the dock. I am talking about wireless electricity, which is truly wireless, which means, your devices will automatically start getting power, as soon as you enter your room, or come within a particular range. Yes, you got it right. It’s like entering your room, and your smart devices will automatically get connected to your Wi-Fi. The thing, which I am talking about, is WiTricity, derived from Wireless Electricity. 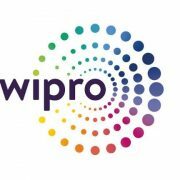 WiTricity is an Australian company founded in 2007 and they are working on this project. 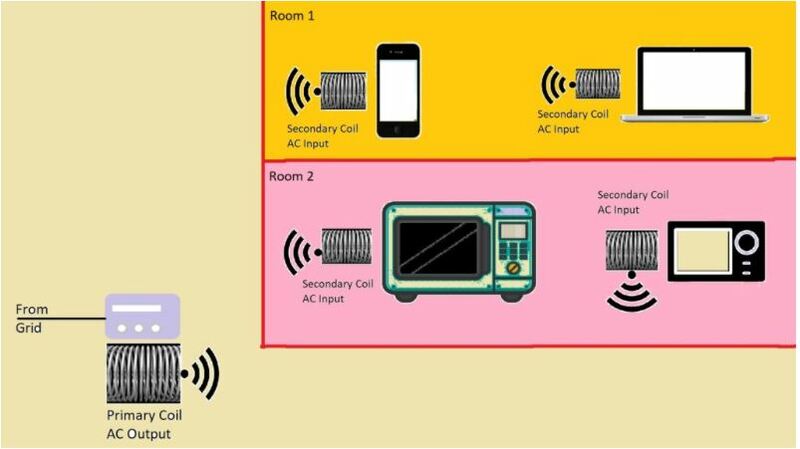 In case of a wireless charging device, the range of electricity transfer is very less, and thus, electricity can only be obtained, when the device is kept on the dock. But, if the range can be increased to a considerable amount, it can achieve true wireless power supply, which can work within a room. Just like a Wi-Fi, the range can even be increased with repeaters. It’s not the Wi-Fi repeaters, but the repeaters will be used to transmit the power farther. How does a Wireless Electricity works? We all have come across the big transformers, which step down (reduce) or step up (increase) the voltage, depending upon the requirements. It is also seen in almost all consumer electronics and the adapters, which step down the voltage to almost 5 or 12 volts, depending upon the device. It is then passed through a series of circuits, which allow a DC voltage to get in your device. 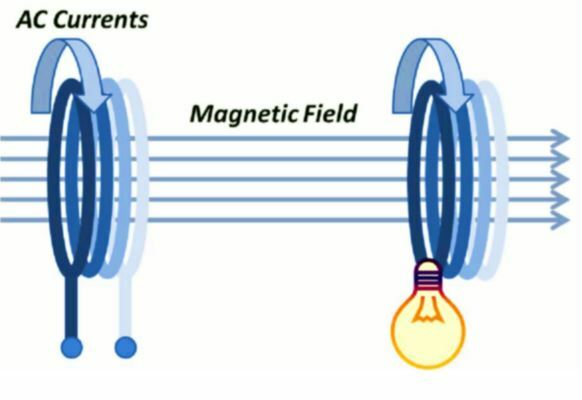 A transformer works on the principle of magnetic induction, where two coils are placed side by side, without any physical connection between them. The electricity from the primary core or coil reaches the secondary core or coil through a magnetic field. The power to the primary core comes from the main supply, while the output current is collected from the secondary coil to use it, for the appropriate purpose. Depending upon the materials used, the gap between the two cores should be maintained properly to make the transformer work. In case of WiTricity, the same technique is used, where the primary core is present within the room, and the secondary coils are placed within various devices, which you are having. Thus, the thing is pretty simple. 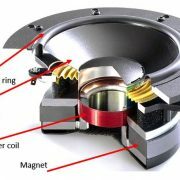 Power from the source (the primary coil) will be converted to a magnetic field, and the same will be collected by the secondary coil, present in the device, which you have in hand. If you want to cover a little bigger range, the coil could be made more powerful. 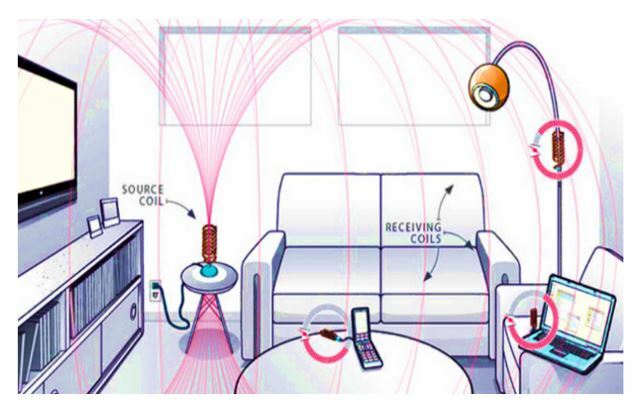 The Wireless power transmission could also be achieved through solid obstacles like walls, stones, glasses etc., excluding metals and thus, once the range is increased, you will not have to worry about transmitting the power to all the rooms within your house, if your house has a number of walls in between. Modifications and sophistication are going on so that we can use it for making our lives easier. The advantages and the level of satisfaction, you can get from the technology is quite presumable. Once the thing becomes popular, WiTricity can also be introduced within your cars, public transport, so that people will hardly need to carry any kind of power bank or similar kind of devices to charge their favorite entertainment hotspots, while on the go. Yes, it will also remove the messy cables from your life, and you never complain again about your kitten or bunny chewing on the power cord. As there will be no cables or sockets, there will hardly be any chance of getting an electric shock, unless you try to fix problems on your own, without taking any kinds of precautions. Before I even start talking about it, you have already imagined, where exactly it can be utilized. WiTricity will not only make charging your devices easier, you will not even have to worry about finding a socket for your hair dryer, nor you will have to think of charging it, as electricity is in the air. 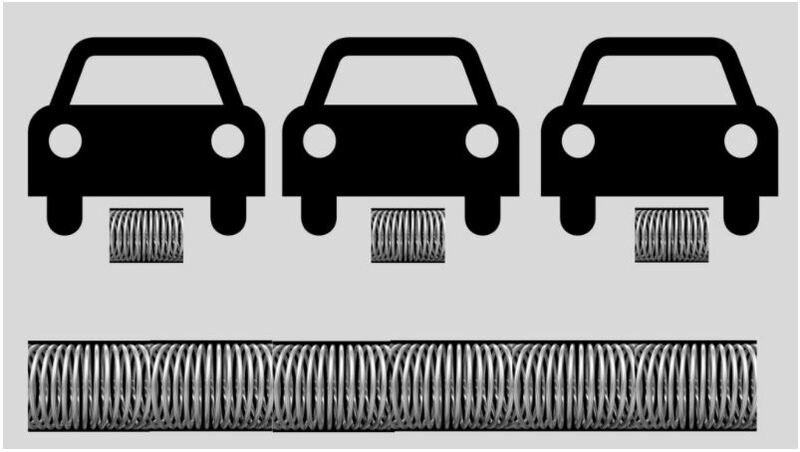 WiTricity can also be used to charge battery powered cars in a parking lot, where the primary coils can be placed under the ground, and the secondary coil or the power collector can be present just below the car chassis. I will not elaborate this section, as once WiTricity is available to the common public, you can use almost all kinds of electrical devices with WiTricity. Will wireless electricity be harmful? 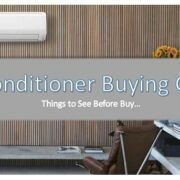 A question might come, whether humans can live safely when electricity is in the air, and the source might be powering devices, which consume a lot of electricity, like your Air Conditioner or your microwave oven. The answer is, NO. It will not have any kind of negative effects on the health of humans, as power is transmitted through air, in form of magnetic field, which do not have the capability to give any kind of electric shock, unless you are carrying devices, which can harness the magnetic field, and transform it into electricity. But, problems might be faced by those, who use pacemakers, as the device also emit a kind of magnetic resonance. The problem might happen, if there is any kind of interference, and proper shielding might be necessary in such cases. Once WiTricity becomes popular, solutions for people using pacemakers will also be rolled out, I hope. In case of wireless electricity, there will be some losses, and thus, optimum efficiency can be a big problem. But, through proper modifications, optimum performance can be achieved, by reducing the losses to a big extent. There might be some kinds of interference with the electromagnetic waves, which have the same frequency as that of WiTricity, and in such cases, it will be difficult to catch signals, which might lead to low signal strength and quality, for wireless communications. Hope that problem will also be resolved if it really exists. Should we ditch our old favorite devices? If every electrical gadget goes wireless, what about our existing devices, which need to be connected to a power socket. Apparently, there is no option to use the existing electrical gadgets with wireless electricity, but it can be done with the help of an extra gadget. A small gadget designed for a particular electrical gadget can be used to harness the power from the primary coil and send the same through the power cord of the gadget, to the internal peripherals. But in such cases, maintaining the proper frequency of 50 Hertz should be maintained to make the gadget work. WiTricity is planned to roll out only for consumer ends, and it is not presently possible to transmit electricity wirelessly, as transmitting electricity wirelessly will involve a lot of losses, and thus, the efficiency cannot be achieved on a large scale. Apart from that, a huge, a huge magnetic field will be necessary to transmit such a huge amount of power, which itself will not be feasible, as it will interfere with other electromagnetic signals, which can disrupt wireless communication. It will be a judicious idea to implement WiTricity on a very small scale, maybe within the radius of a room, or a house, so that there will be no issues with electromagnetic interference. The work to roll out and improve WiTricity is going on, on a full scale, and if it goes on in this way, we are not far away from getting a cable-free life, as far as electricity is concerned. Once it rolls out, there will be a number of issues with the new technology, and that is quite natural. But fixes will be done, and one day, WiTricity will be as common as using normal electricity, which we use on a regular basis. It is all about time. Hope this small information about an upcoming technology helped you. What is speaker and how it functions?